There is no measurement for who does Small and Medium Business the best. I’ve always said that it is impossible to benchmark manageability. But, hey, Oracle always kills ‘em on the high end—as 4 Million+ TpmC will attest. 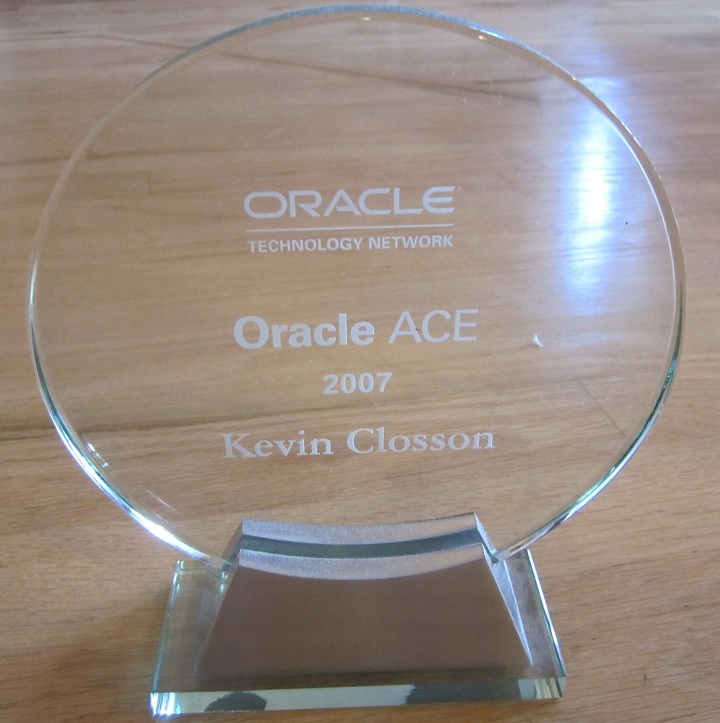 I’ve been watching for what Oracle will do in 2007, and beyond, to attack the SMB market. I take this press release as great news that Oracle is focusing on the SMB space. I firmly believe that the repricing of Standard Edition that allows up to 4 sockets—as opposed to 4 cores—combined with the flexibility one has for storage adoption with Oracle will be a winning combination. Remember, Oracle is the only database out there that enables you to deploy in the manner that makes sense for you be it FCP, iSCSI or NFS (NAS). And yes, Oracle11g does take that value proposition further. Why did I sell my Oracle stock at $14.40? What Does This Have to do with Storage? SMB doesn’t exactly lend itself to Fibre Channel SANs. That bodes well for me since I’m in HP’s StorageWorks NAS division. Because it barely kissed $15 in Jan ’04, Dec ’04 and Mar ’06? Does this include using SE in a RAC configuration? If so, that’s a very nice win in the SMB space, as some of our customers will use SE RAC for basic HA. The only other piece I’d like to see is that SE support vendor clusterware like Polyserve, but I don’t think that one is coming soon..
One of the interesting features I’ve heard with 11g and RAC specifically is the support of multiple VIPs for the listener, meaning that you will have the capability to support multiple network subnets within RAC. One of the issues I’ve seen with our customers is that we’re required to support multiple subnets within RAC, and while Bonding provides an alternative, my network admins do not like using bonding on the public side. Do you know anything about this “new” feature?